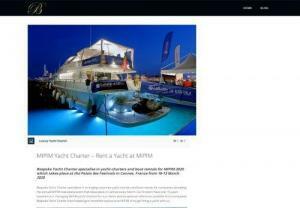 Hong Kong Yachts is a yacht advertising and information platform. We specialize in digital content creation, yacht industry news, reviews, and consulting. MarineHQ Boat Parts and Marine Supply specializes in online selling of Boat Equipment including Jack Plates, Steering Cables, Steering Wheels, Boat Seats, Fenders, Lowrance GPS, Garmin GPS and Fishfinders, Humminbird Marine, SeaStar Solutions, Uniflex, Bennett Trim Tabs, Ocean LED, Lumitec, Wesbar, and various other boat brands. Astypalea VIP Yachting wellcome you in Astypalaia. Live the experience and explore the beaches of Astypalaia with a daily cruise. 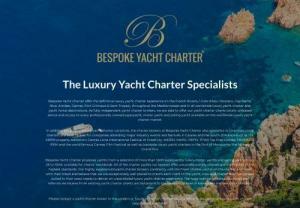 Astypalea VIP Yachting providing services in skippered each chartering and daily cruises. We decided to finally make our dreams come true by devoting our life to the sea, tourism and hospitality. Globe Yacht Charter is luxury yacht charter service provider with fleets in world' s top destinations like Croatia, Greece, Caribbean, BVI and others. Catamarans and Boats for rent at best value for price. Brand new 2019 yachts. Yacht Brokerage firm based in Bodrum, Turkey and Canada. Learn to Sail with the friendliest sailing school on Tortola in the BVI. Live Aboard, Bareboat Cruising, Catamaran, and Powerboat Courses. Find us in the British Virgin Islands in the Caribbean. ASA and IYT accredited. Atlantis II is an 80 feet motor yacht catamaran licensed until 55 guests and available for day cruises to amazing your day. High quality stylish boat, RV and yacht picture frame holders. The SeaClutch is the interior decor item that every boat, yacht and RV owner needs! The innovative design ensures that your pictures won't slide, tip or fall down in your boat or motor home. Place your pictures wherever you like knowing they will be safe and secure with the SeaClutch. Global Yacht Charter with thousands of monohull sailing yachts, catamarans, motor and mega yachts in our fleet. Southern Cross Boat Works is one of the topmost Fort Lauderdale-based marine services company which provides many outstanding services as boat Shrinkwrap services, marine scaffolding, flat platforms, welding and so on. We are your authorized Mobile, Alabama specialists for Yamaha, Mercury, Tidewater bay boats and center console boats as well as Bentley pontoon boats. No need to visit a dozen different dealers, George's Water Sports can handle all of your water sport needs in one friendly place of business. Get experience of Speed Boat ride in Goa with best reviews. Book water sports package with top reviews with cheapest rates and best offer. Blackness Marine offer outdoor and indoor Boat and trailer storage in Totnes and Dartmouth based in Tuckenhay on the River Dart. Maverick Yachts designs and builds circumnavigation and cruising-ready catamarans for the owners who plan to live aboard. We enable our owners to live their dream of cruising and circumnavigating, while living in total comfort and peace of mind. We are not a registered business so when you sail with us you join as crew. Royal Yachts charter a fleet of yachts for rental in Dubai. We represent the world's leading luxury yachts for sale in the UAE, including Sanlorenzo and Fairline.